The United States has urged its fellow UN Security Council members to punish and impose sanctions on Iran for its, what it termed, malign behaviour in West Asia. At a meeting on the implementation of the 2015 nuclear deal with Tehran, US Deputy Ambassador to the UN, Jonathan Cohen said, if a country continuously violates the Council's resolutions, it is imperative to pursue meaningful consequences. 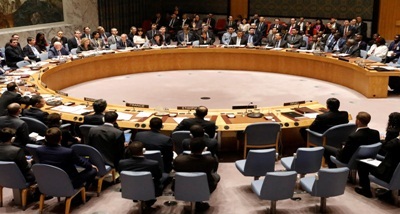 It was the first meeting of the Security Council since US President Donald Trump announced on 8th May that Washington was withdrawing from the nuclear agreement with Tehran.